Being an avid foodie its inevitable that friends and family buy me kitchen inspired pressies. Recipe books are of course a favourite. My shelves groan with the weight of them to the point that i’m convinced they will one day collapse! 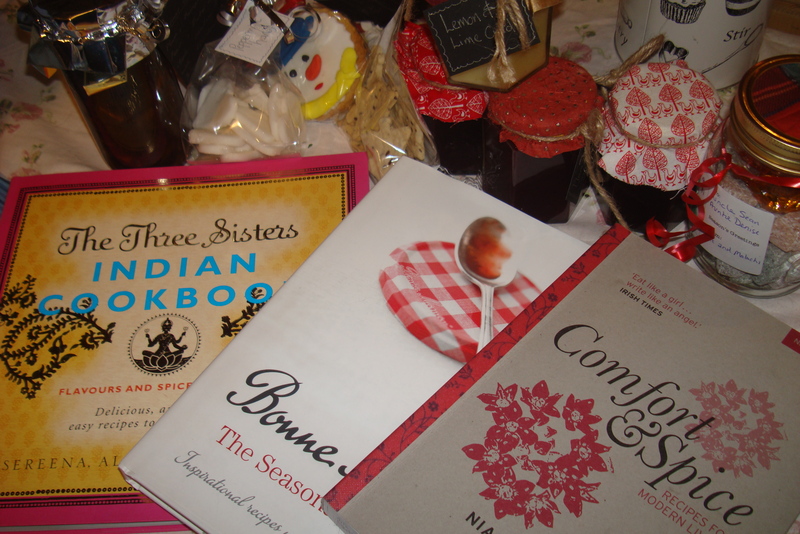 In amongst this years array of foodie gifts (jams, sweets, biscuits, pate all lovingly made by hand by various friends plus a random bizarre boobie shaped double lemon squeezer) was a decent scattering of new cook books. 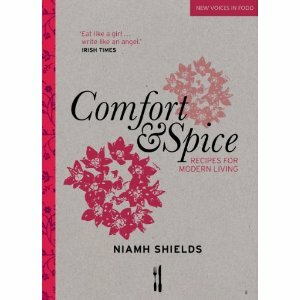 One of these, Niamh Shields Comfort and Spice, has been top of my wish list since it came out. Of course as a food blogger I was naturally curious; she was a serious overachiever last year with the release of her book, an evening standard column, a multitude of foodie doors opened to her and the Observer Food Blogger of the year award. Niamh is what the rest of us hard-working bloggers aspire to (and if I’m honest are just a wee bit jealous of). I was as you may guess pretty happy to unwrap this book on Christmas morning and I spent a good chunk of the day pouring over it. 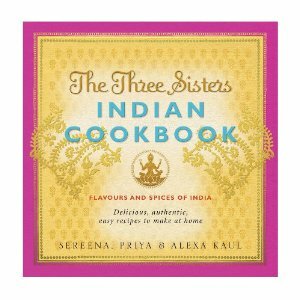 I love her warm, open and natural writing style and her recipes are inspirational and simple to follow. I would recommend this for the novice cook that wants to branch out into more adventurous waters or the accomplished cook looking for new ideas. Many of the recipes remind me of dishes I have cooked in the past or cook regularly at home (chicken and chorizo pie, lentil shepherds pie, flower salads), but there are also plenty of new ideas that I’m keen to try, especially if her spatchcocked chicken with gremolata (which we had for tea last night) was anything to go by. Another must try is her now famous chocolate mousse with honeycomb, just to satisfy my sweet tooth. 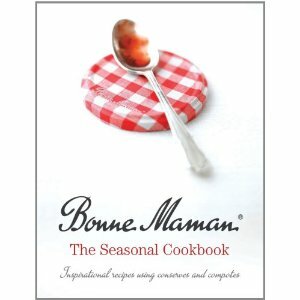 The Bonne maman seasonal cookbook was less impressive for me, although the desserts look absolutely heavenly and the first recipe that caught my eye was for lavender buttermilk scones, which I’m looking forward to giving a try. I’m not sure it is deserving of the ‘seasonal’ tag (tomato and orange soup as a spring dish?) and the liberal use of jam in everything from sweet to savoury dishes doesn’t totally appeal, but it has provided some inspiration already. I decided to try adding a dessertspoonful of home-made blackcurrant jam to my version of baked beans instead of a bit of sugar (to counteract the acidity you sometimes get with tinned tomatoes) and it worked amazingly well!! 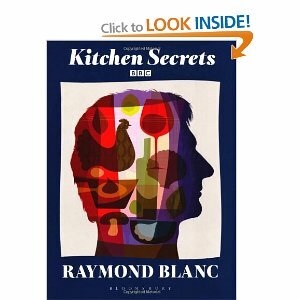 The last book Raymond Blancs Kitchen Secrets is definitely for the more accomplished and braver cook. I’ve been a fan of his since visiting what was then Petit Blanc (now Brasserie Blanc) in Oxford. Sadly my budget has never allowed me to visit Le Manoir…but that would be my dream!! The book from his BBC series is full of simple classic recipes (moules mariniere, watercress soup) that sit next to those that are distinctly more complex (exotic fruit ravioli, apricot cassolette) some are more detailed than you might find in the average cook book, at times using techniques the home cook might find difficult to pull off. I sometimes think that cook books by chefs are written in a way only other chefs understand and they make the simplest of cooking processes seem extremely complex. 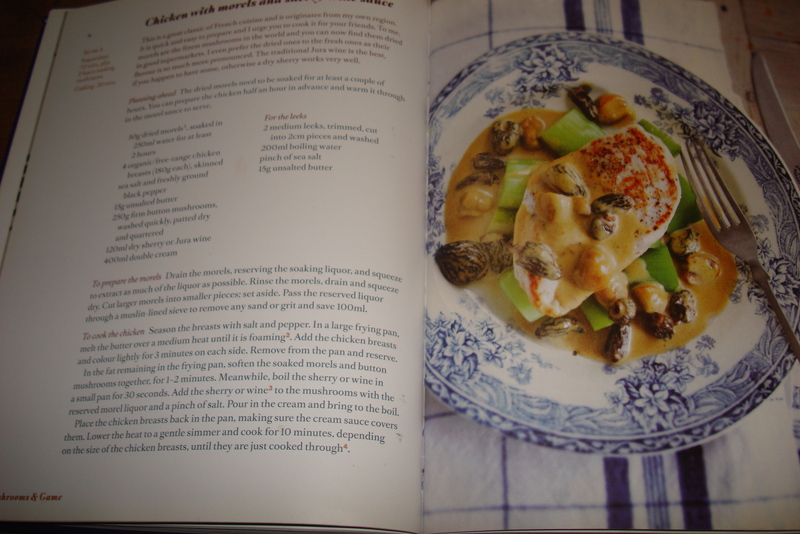 I have already tried out a couple of the recipes from the book with mixed success; the pollack fillet grenobloise with pomme puree was delicious and chicken with morels (which I substituted for wild mushrooms) with sherry wine sauce which was lovely too, but I had less success with the chicken liver parfait despite being a seasoned cook. There are more I have yet to try such as the wild duck with blackberry sauce and celeriac puree and the desserts definitely deserve a go even if they do sound a bit complicated! I won’t be put off although others might. I wouldn’t say its a book to use to cook tea from though! !